And the battle continues. 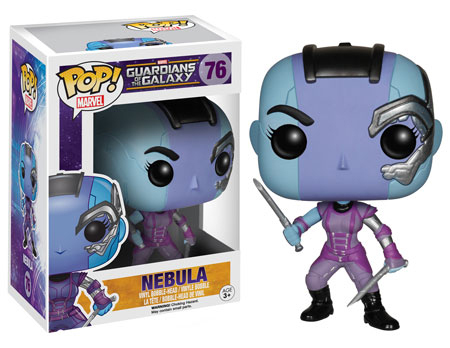 2015 Funko Pop Guardians of the Galaxy Series 2 adds more stylized figures from the buzziest movie of 2014. While the previous release centered on the heroes, Series 2 ranges from the ragtag to the downright evil. 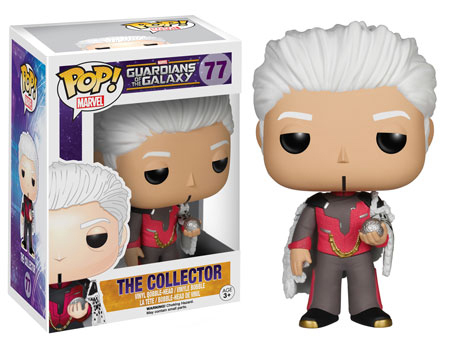 See Also: Full Funko Pop Guardians of the Galaxy Figures Guide. Really, Guardians of the Galaxy isn't so much about good guys and bad guys. There's a scale that everyone sits on and nobody comes close to the wholesome apple pie values of Superman. But even on that scale, it's safe to categorize Ronan and Nebula as nasty. Two of the film's central villains, they are both posed with their weapons of choice and decked out in their memorable costumes. 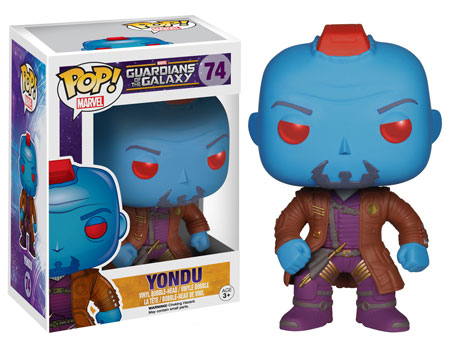 Joining them are Yondu, someone who's more in the realm of grey as far as good and bad goes, and The Collector, someone who still has something of a shroud of mystery about him. Thanos is also part of the lineup. However, the biggest bads needs to stand out. 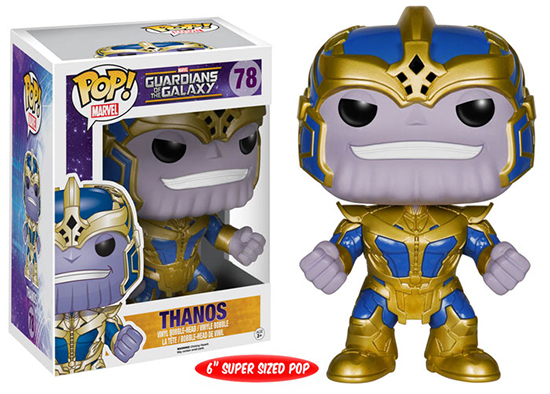 Rather than being the standard 3 3/4" tall like the other figures, Thanos is an over-sized 6" and costs a few dollars more. 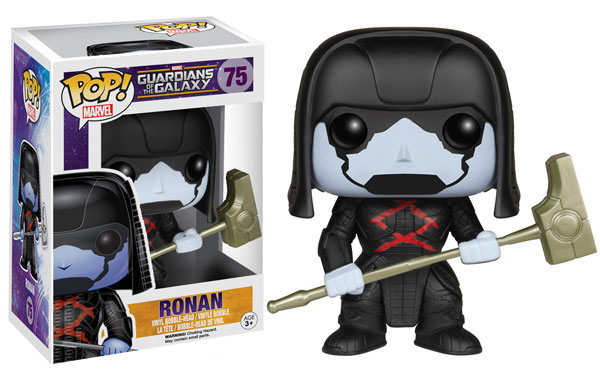 2015 Funko Pop Guardians of the Galaxy Series 2 is numbered as part of the Pop! Marvel line that includes a variety of heroes and villains from both the movie and comic universes. Funko Pop! 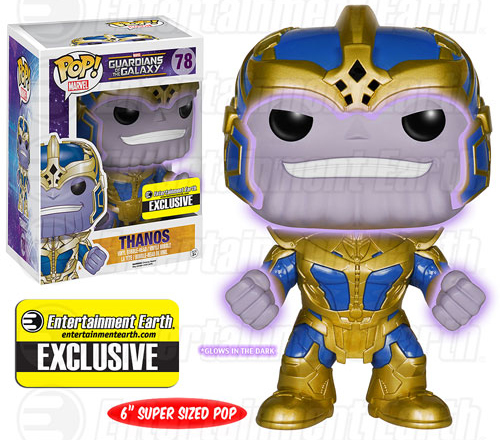 Thanos Guardians Of The Galaxy And The Collector Disney exclusive!